Street Food Of Penang You Need To Try In This Lifetime! 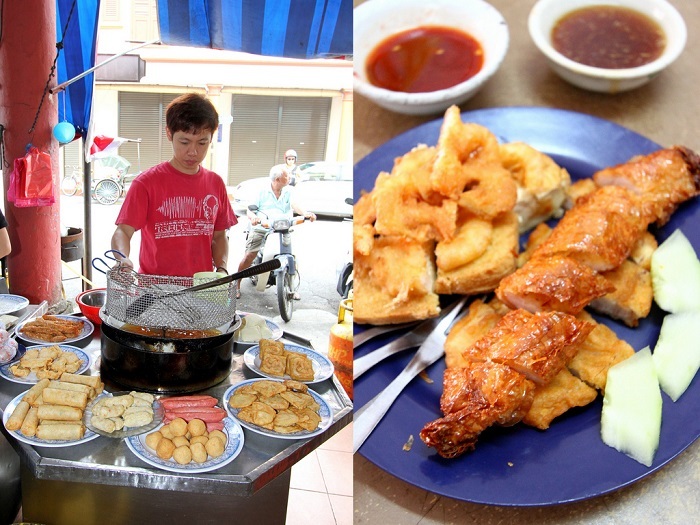 Street Foods Of Penang You Need To Try In This Lifetime! Rated as the top culinary destination by Lonely Planet in 2014, the gastronomy of this region is a potpourri of many cuisines like Indian, Malay and Chinese, but with a Penang twist which makes the food distinctively Penang. The amalgamation and balance of a variety of tastes including sweet, sour, salty and hot spices, this cuisine tantalizes the taste buds and the after effects of this is that you crave to have more of it. For Penangites, street food is part of their everyday life. The cost and quick service plays a major role and to make life even easier for the locals and tourists alike, the food stalls in this country are ubiquitous. 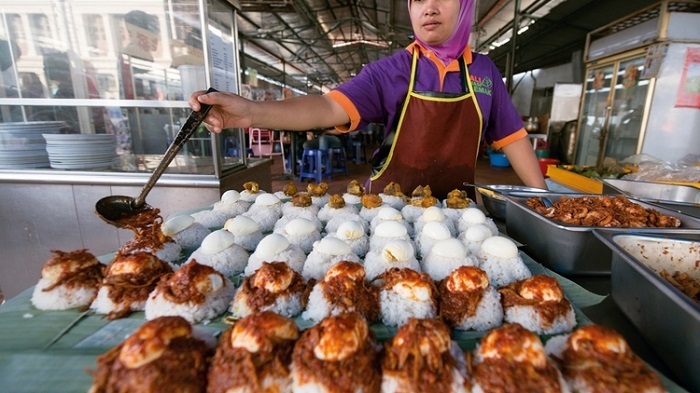 In 2013 ‘CNN Travel’ ranked Penang among the top ten street food cities in Asia. This is one of those foods which almost every visitor to Penang regards as a must try. This feasting plate of noodles combined with juicy cockles, tender prawns, and sapid sauces can cost as low as RM3 and as much as RM9 in the state. 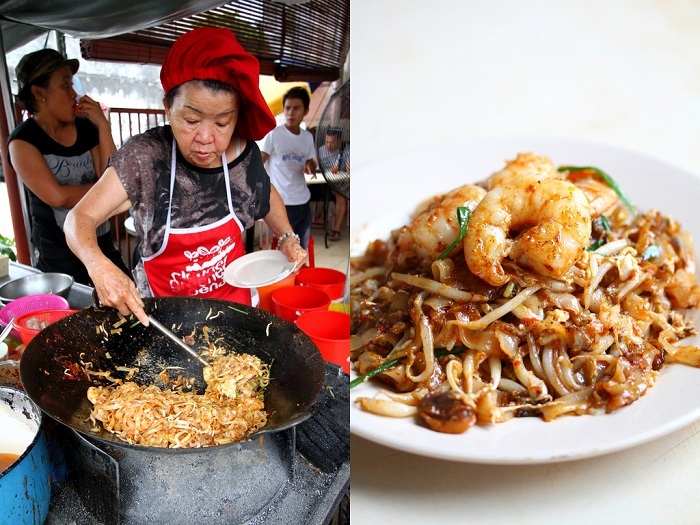 Many street food vendors are renowned for their perfectly cooked Char Koay Teow, which for years has proved to be rave for those who have tried it. This soupy delight is a favorite among the Penang population, and even though Laksa is common to the cuisine of many regions, the Penang Laksa has its own specialities. The glossy rice noodles floating on the gummy gravy looks too appetizing to resist. 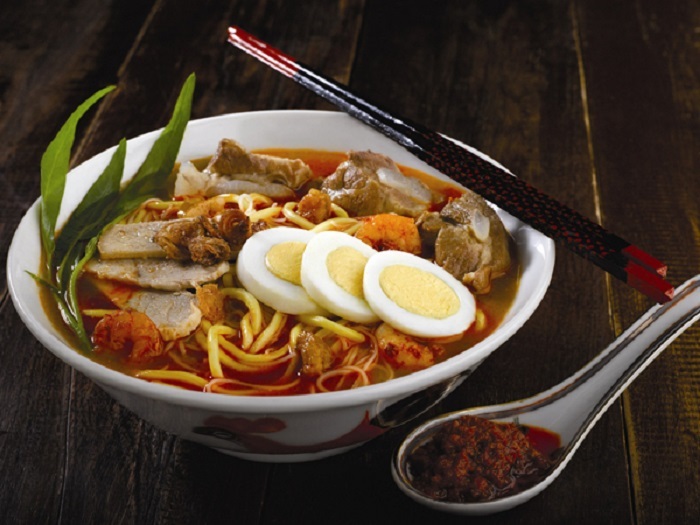 The tangy taste of asam (tamarind), together with the sweet and salt added to the soup, strikes the perfect balance. Shrimp paste makes the soup thick as well as enriches the taste. This is one of the most whole some dishes belonging to the Penang cuisine. It is found in both vegetarian and non-vegetarian variations, and the key item of this dish is the rice cooked in coconut milk and wrapped in banana leaves which adds a mild aroma to the rice along with that of the coconut milk. The platter is usually served with anchovy fish, boiled egg, peanuts, cucumber and of course, the spicy chili sauce. A plate full of Mee Goreng is something which can fill an empty stomach and at the same time satiate the soul with its pungent fragrance. 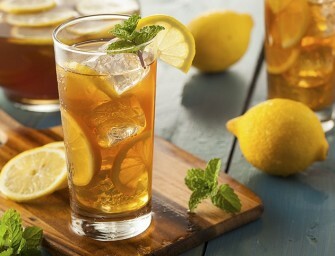 This is a hotchpotch of different flavors which come together to create a balanced blend of taste, smell and sight. Lor bak or sausage pork roll is a much preferred street food in Penang, and has a distinct and the traditional five spice used in its cooking process. Pork minced and mixed with garlic, pepper, sesame oil and definitely the five spices. These are then carefully put in a soy bean sheet, coated with mung dal powder paste or corn flour paste. It is then deep fried, cut into pieces and accompanied with different servings such as pickle, sauce, prawn fritters, boiled egg or fried bean curd, which transcends the delectability of this simple dish to a different level. Long smooth noodles along with crispy yet soft prawns, plunged into a full bowl of spiced up soup, and topped with a dazzling red chili paste is what constitutes the Hokkien Hae Mee. 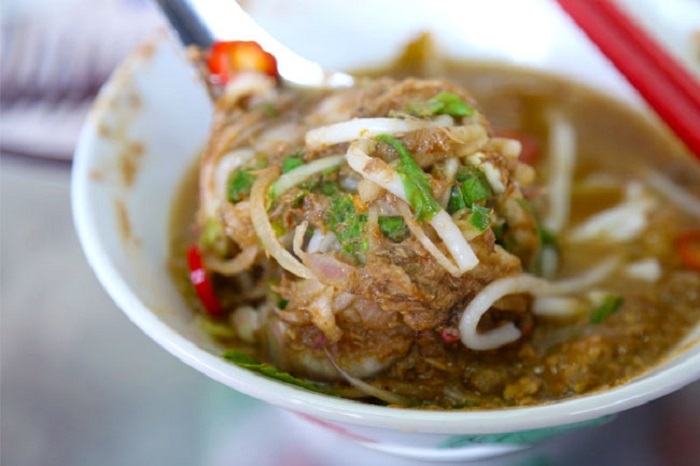 This is also sometimes garnished with boiled eggs and is one of the most famous street foods in Penang. If you are in Penang, tired and starving after a long day, this magical bowl of noodles has the power to appease your tummy and rejuvenate you. Apart from its nutritive and stomach filling qualities, the other quality worth mentioning is that it’s a fast food in the true sense of the term; easy to prepare, it is always served within minutes of ordering. After all the spicy, salty, tangy noodles, here comes the sweet avatar of noodles, the Cendol. If you are fond of sweets it is a must try for anyone who is visiting the Penang region and wants to dabble with different flavors. Translucent vibrant jelly noodles, coconut milk, palm sugar, crushed ice, grass jelly; creamed corn and red beans converge in one serving dish to create this lip smacking dessert. This is available at almost all the street food stalls at a minimal price of around RM 1.50 for a cup full of Teo Chew Cendol. 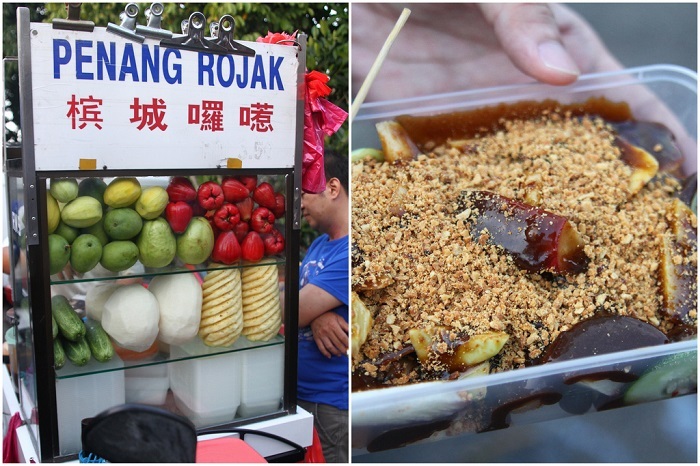 In the Malay language, Rojak implies mixture, and mixture it is, of fruits and vegetables; but this does not mean a non-calculative mixture. 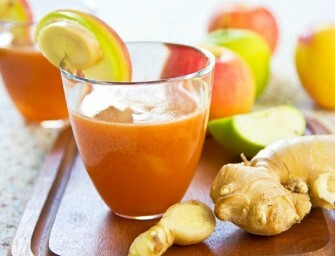 Rather, this is one of those food items where the fruits pair with the vegetables to create a mouthwatering combination. Sweet and sour fruits and juicy vegetables drizzled with a generous amount of prawn sauce makes people lick their fingers, irrespective of their surroundings. This noodle is famous in almost all over Malaysia, which, unlike most noodle dishes, is a prawn-less food item. 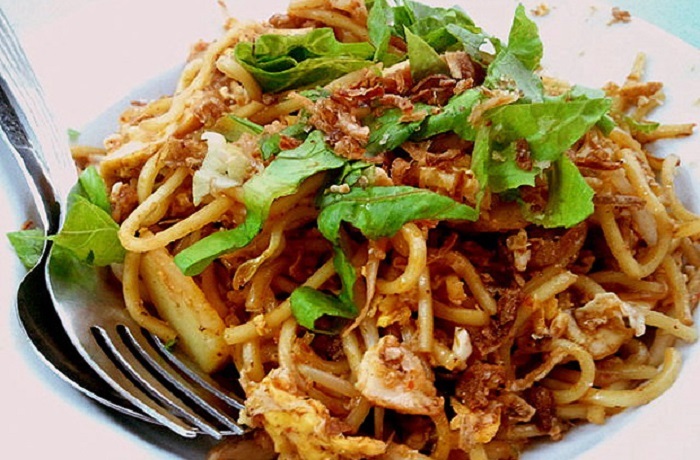 The Penang variation is distinct as it has many unique ingredients added to it, which conjure up to create a decorated bowl of noodles. It has vermicelli or yellow noodles, coagulated pork blood, spicy chicken curry, fish balls, tofu puffs and cockles. Freshly made and served hot at street food joints, this curry noodle has a pungent smell which invites people to gulp it soon after it is served. Roti Canai, a bread which accompanies all curries and gravies, and by itself is a complete food with some drops of honey or a sprinkle of sugar. This bread is of Indian origin and apparently, even the name is a derivative of an Indian state. Popularly known as roti in most regions this are round or square in shapes and are also known as flying bread. This eye-catching Malaysian dessert succeeds in attracting the attention of every passer-by as it is made with bright colored jelly noodles, grass jelly, agar, crushed ice, red beans, palm sugar syrup, creamed sweet corn, fruits and smooth condensed milk. This heavenly bowl of dessert is mesmerizing and is a must try for all those who tend to visit the place. Popular Street Food Of Morocco That Will Give You Mouthgasm! Turkish Street Food—A True Food Lover's Delight!